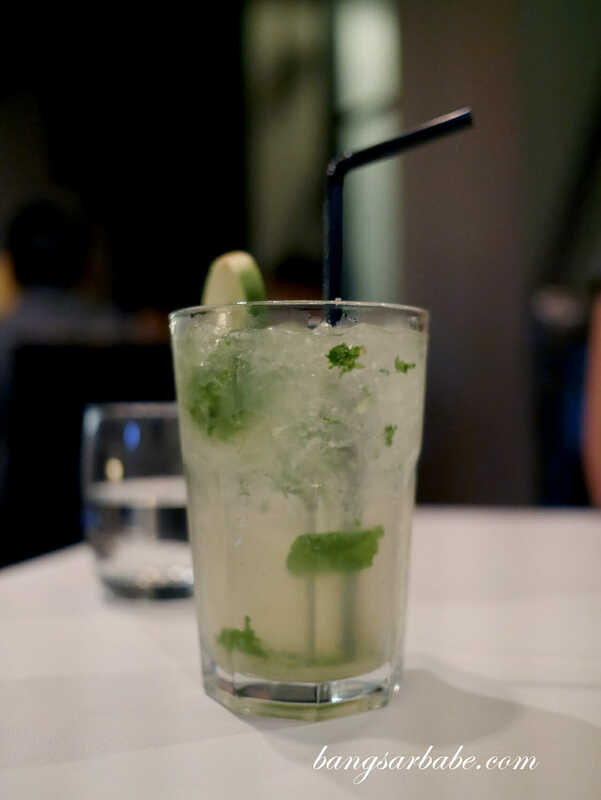 I’ve always pegged Pampas Reserve as a happy hour joint – the drinks are reasonable and it’s located right smack in the middle of Kuala Lumpur. Suasana Bukit Ceylon to be exact. 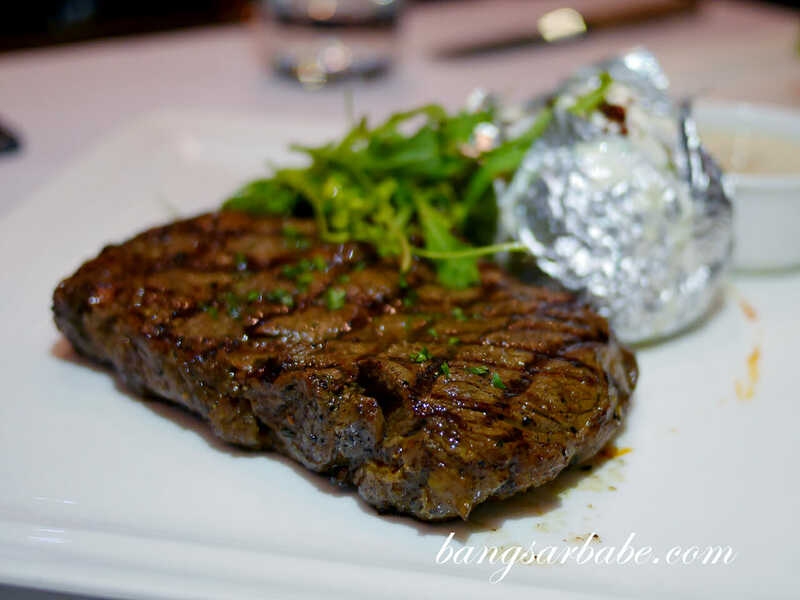 What I didn’t realise was they also serve steak, which I pleasantly discovered last week when Jien took me there for our date night. The ambiance is relatively pleasant and by 9pm or so, you get a live band to perform for you while you tuck into your food. Happy hour prices (before 9pm) are good if you’re up for a tipple – you get cocktails and beer from as low as RM10. Wines cost slightly more but I find the quality better as well. Gambas (RM28) seemed to be a popular choice for starters though I found it quite average. 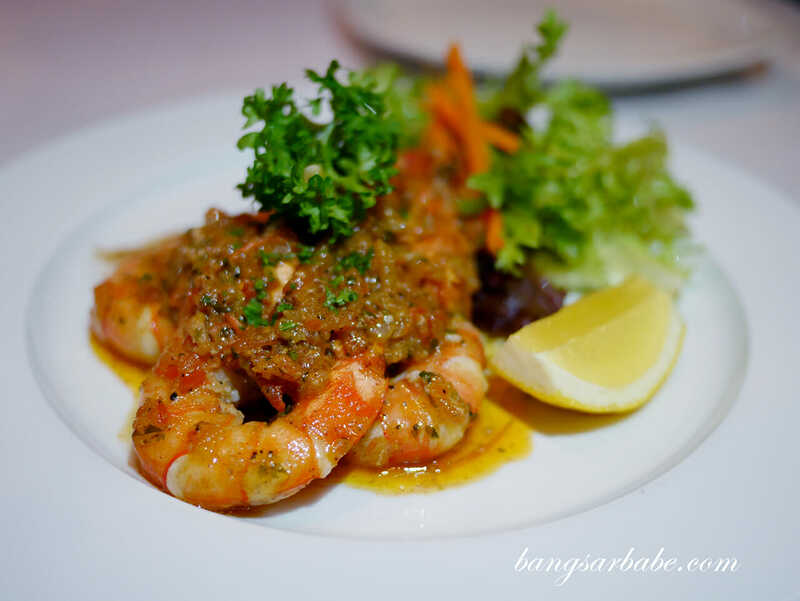 The tiger prawns were overcooked so the texture was hard; even the salsa of tomatoes, peppers and chilli couldn’t help. 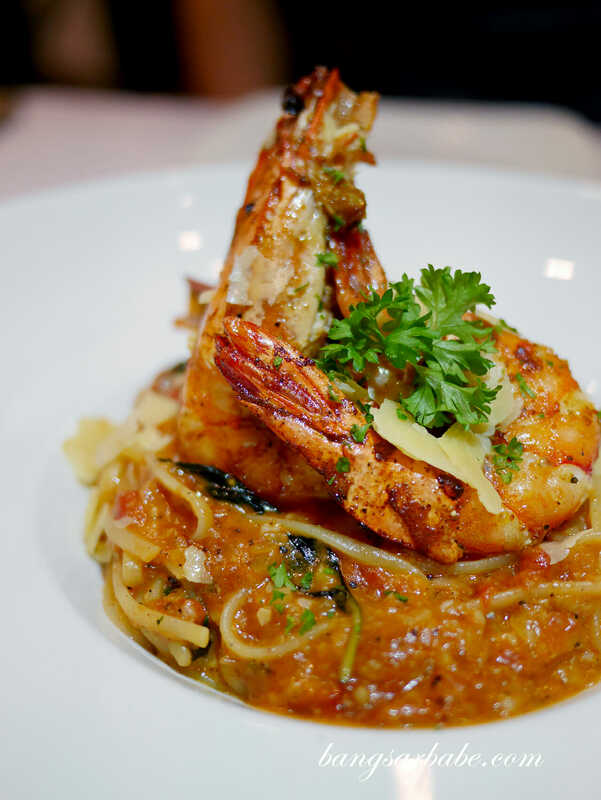 Jien and I shared a pasta while waiting for our mains and the Jumbo King Prawn Linguine (RM48) came highly recommended. This was not bad as you get linguine (I requested for al dente) cooked in a creamy tomato based sauce and topped with jumbo king prawns. I reckon prawns or seafood isn’t their forte as this was overcooked too. That said, the pasta was not bad. 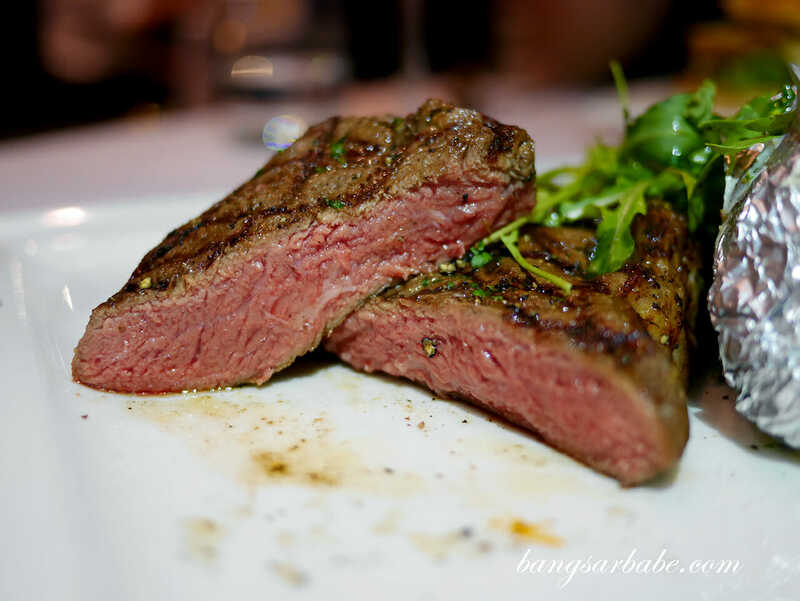 Steaks are reasonably priced here – a 250gm CAAB Black Angus Rib Eye is priced at RM89, while the 350gm costs RM109. Obviously, I went for the 350gm steak. I was ravenous and have been craving steak for a couple of weeks, so this piece was a nice treat. The steak (cooked medium rare) had nicely seared edges and a juicy centre. I would have liked it to be more tender – this one required a bit of chewing – but for the price, portion and ambiance, I’m not complaining. Heck, I think I’ve found a place for reasonable steaks if my wallet gets a bit dry haha! 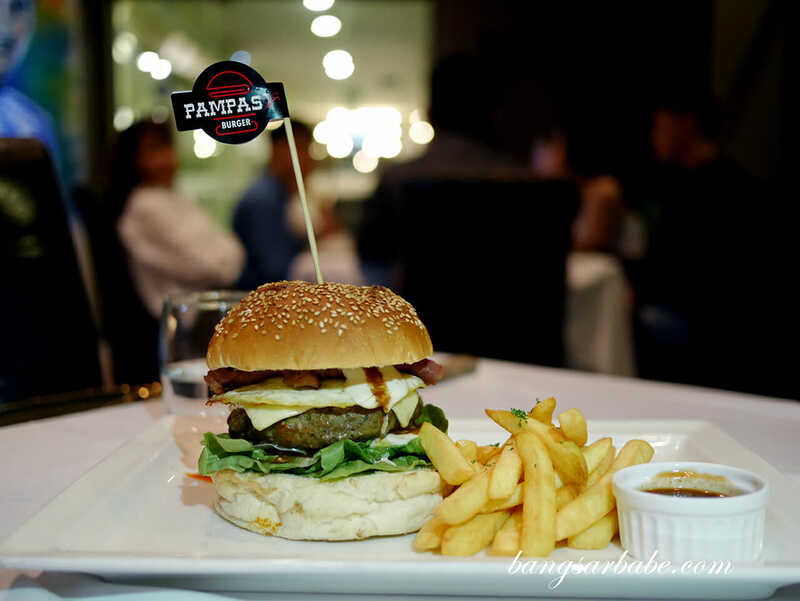 The Pampas Gourmet Beef Burger (RM33) was also quite decent. 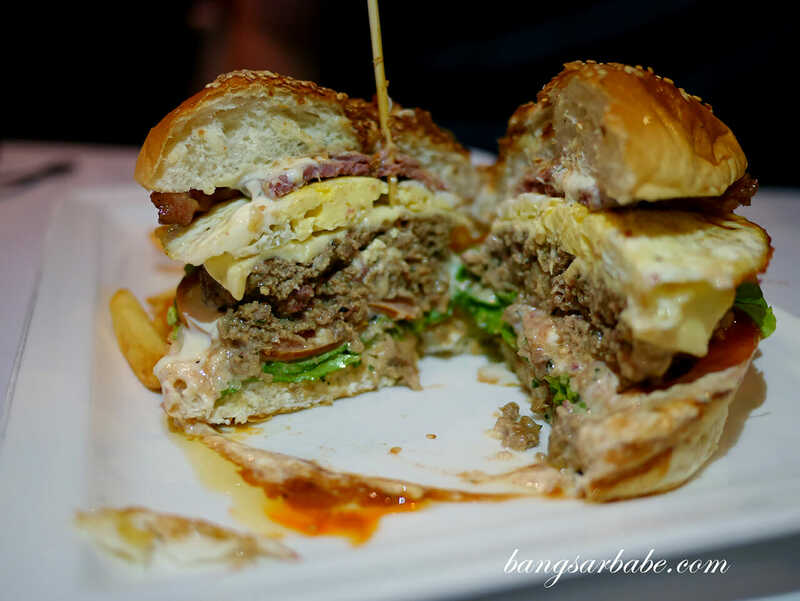 You get a good-sized burger of homemade prime beef patty with egg and bacon, just the way I like my burgers. Patty was juicy and the bun held the ingredients together without losing shape. We didn’t stay for dessert as nothing caught my fancy. Then again, I was there for steak and I got what I wanted. Service was pleasant though I feel the staff could use better menu training – not all knew what was available or what to recommend. 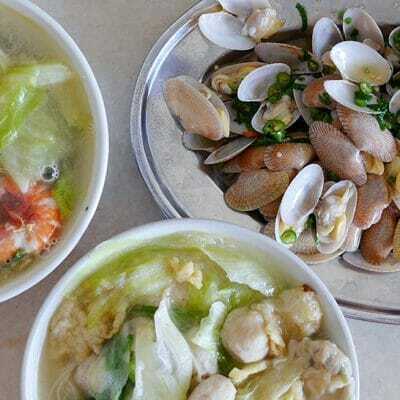 Our bill came up to about RM200 including a glass of wine and a happy-hour Mojito. Pretty good value if you ask me. 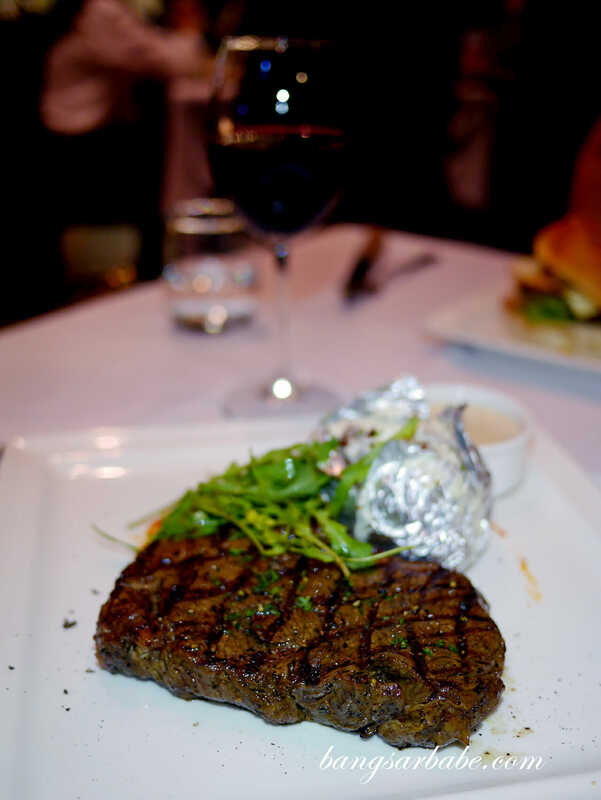 While I didn’t care much for the starter and pasta, I would come back for the steak. Verdict: Pretty decent steaks and good value for money.